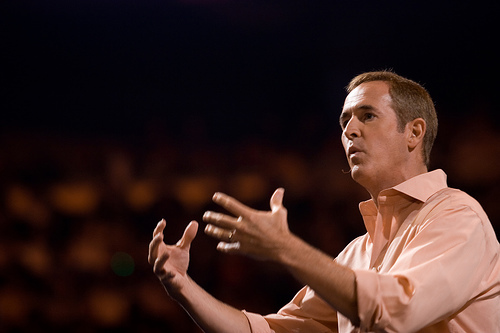 I recently read The Best Question Ever: A Revolutionary Approach to Decision Making by Andy Stanley. In writing to help his readers better understand how to make the right choices in life and to avoid regrets, Stanley offers very simply advice. When faced with a situation or opportunity of any kind, one must simply ask the “Best Question Ever”: What is the wise thing to do? Stanley explains with some detail the biblical and practical basis for asking this question and why a reflexive attitude towards life decisions is important. He then proceeds to offer suggestions on the implementation of this question into life through issues of time, money, and morality. He closes with an appropriate section for a pastor, writing that true wisdom can only be found within a relationship with God. As a specifically Christian approach to decision making, especially in the realms of time, money, and morality, this book is an nice resource, and is full of practice and Bible-based teaching. Stanley’s principles are easily understood and his applications follow well from the discussion. The touches of humor and variety of comic stories that Stanley employed were relevant and made the book fun to read. His perspective on self-deception and the importance of accountability were especially well argued. My initial reaction to this book, especially the title and opening chapters was one of skepticism. As someone who reads quite a bit, the claim to have access to a “secret” and the “best question ever” seems audacious at best and more often like blatant arrogance. Stanley’s insights and the importance of considering the wisdom of decisions are certainly importance facets of a well-rounded life and appropriate decision making processes. 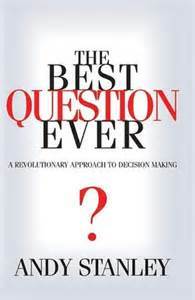 But I finished the book unpersuaded that I has just been exposed to the “best question ever.” While this book provides insight into a number of considerations and questions that are important in decision making processes, I finished the book wondering what I had just done with 90 minutes of my life. It seemed as if this book could have been far shorter than it was, or that Stanley could have added additional material to give it a more ‘full’ feel. Overall, I felt this book was well written and a nice easy-to-read thought provoking work. It is clearly intended for a certain type of Christian audience, and within that context should provide good advice for decision making, and will hopefully help Christians, leaders and laity, to reflect upon the wisdom of the choices that they are making. I received this book free of charge from WaterBrook Multnomah Publishing group. All views expressed are my own.